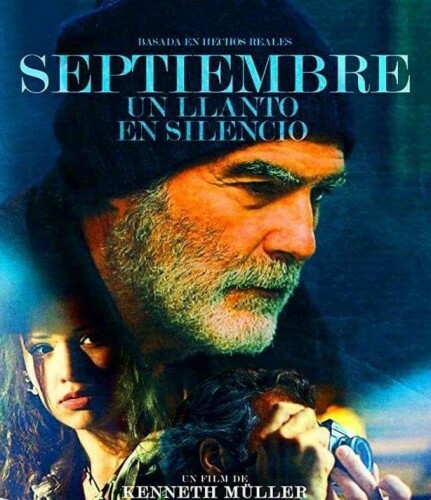 Septiembre, un llanto en silencio (September, a Silent Cry) is a film from Guatemala directed by Kenneth C. Muller. In the 1980s, Guatemala suffered a terrorist attack. The memory of the attack is the starting point of this movie. Teresa loses her mother after the explosion. She survives, but loses her ability to hear. Joshua will have to take up the role of both father and mother with a deaf girl whose surroundings are not fit for her condition. The little girl will be forced to leave school because (ironically) she failed her music class. Her father will become her safe haven again. But over the years Teresa grows up, she is almost a woman and starts to seek her own path by bursting the overprotected paternal bubble. The atmosphere of the film is like darkness before dawn. It is that moment in life in which, although it seems that everything is going wrong, you do not know what you can find just around the corner.